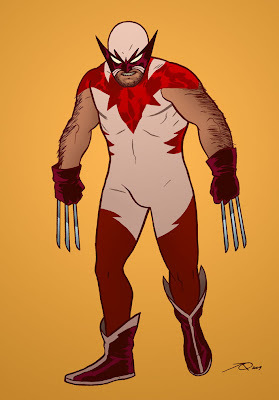 Wolverine: "Ah'm the best there is at what I do... you hoser." i do believe that speed racer would pee himself. Nice! I'm liking the canadian theme. He kinda looks like a wrestler. Hey, you and Maris inspired me to enter! You must take some responsibility for what happened here... like it or not. this looks great! short stocky and pissed off! oh man, wow. looks like a race for second place now joe. Seriously great.